Rabbi Geffen was installed as the ninth senior rabbi of NSCI in 2015 and has been a part of the rabbinic team since 2002. Rabbi Geffen is a tireless leader of our community, a person who people turn to for counsel, education, and insight year after year. Rabbi Geffen has a vision for NSCI: reanimating and redefining what a 21st century synagogue can become—synonymous with thriving and transformation, developing relationships of significance, and a larger sense of purpose and impact in the world’s repair. There are many things that inspire Rabbi Geffen. She is passionate about how Jewish wisdom adds meaning to our lives and enables us to better our world every day. As a rabbi, she is dedicated to empowering each person to define their Jewish identity and Jewish journey. As the most senior staff member, Rabbi Geffen empowers the synagogue and larger Jewish community to pursue tzedek (justice) and tikkun olam (the repair of the world). She also likes to explore and present complicated nuanced Jewish texts and ideas in ways that have accessible relevance for people. You will find her leading a conversation on mindful living in the Perlman Sanctuary, delivering a sermon as a guest preacher at a Chicagoland church, or cheering alongside her husband Scott for their children at a dance recital or baseball game. NSCI has been fortunate to have Rabbi Lisa Greene on our team since 1999. A second generation rabbi, she refers to herself as Rabbi Greene, The Sequel, and maintains a love of informal education, a joy for teaching and a fascination with rituals, both ancient and new. Rabbi Greene has devoted her career to helping people find their meaningful place in the synagogue community. By getting to know you, Rabbi Greene empowers and connects with you in ways that lead to deep and significant involvement. Rabbi Greene loves asking people, “How would you like to become involved here at NSCI? How can I help you do this?” Reach out to Rabbi Greene at any time–she welcomes the opportunity to connect. You can find Rabbi Greene playing guitar at the Takiff Center for our youngest, inspiring our adult b’nei mitzvah students, or lovingly spying on her three kids in our religious school. It has been said that music is a language that every person understands. Cantor David Goldstein knows this personally and professionally. Bringing music, art and faith together is something Cantor Goldstein does on a daily basis. Join us for one of our services to hear the impact his cantorial leadership has on our experiences. Enjoy exploring music? Cantor Goldstein would be pleased to meet you and talk about music’s role in the sacred and spiritual journey. You will find Cantor Goldstein composing new Jewish music in the Perlman Sanctuary or working closely with our student musician groups. Growing up in a big city like New York meant that Rabbi Ryan Daniels encountered people who had it all and people who were in great need. It was the neediest people who made a tremendous impact on his career and life. Rabbi Daniels is passionate about social justice issues and has worked tirelessly to combat hunger and homelessness which he saw first-hand in New York. As a rabbi, he advocates for every person to become engaged in their community and do things to make the world a better place. Rabbi Daniels encourages connections and invites you to schedule a time to meet and chat about how NSCI can be meaningful to you and your family. You can find him in the Boehm room teaching life lessons to our young adults, downtown at NSCI events for our 20- and 30-year-old crowd, or checking baseball scores on his iPhone. 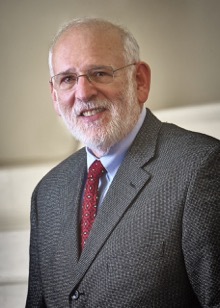 Rabbi Steven Mason served as senior rabbi of North Shore Congregation Israel from 1997 to 2015, and then became rabbi emeritus of the congregation. Rabbi Mason came from Worcester, Massachusetts, and graduated from Bates College in Lewiston, Maine. He also studied at the Hebrew University of Jerusalem while in college. He was ordained at the Hebrew Union College-Jewish Institute of Religion, New York School in 1978. In 1996, he returned to HUC-JIR in New York and earned a Doctor of Ministry degree in pastoral care and pastoral counseling. In 2003, HUC-JIR awarded him the honorary doctor of divinity degree. Rabbi Mason has studied in the Rabbinic Leadership Initiative at the Shalom Hartman Institute in Jerusalem, and received the designation senior rabbinic fellow. Rabbi Mason and Patty Mason, the former family educator of North Shore Congregation Israel, reside in Northbrook and remain active members of the NSCI community. Rabbi Herbert Bronstein has combined a successful vocation as a congregational rabbi with extensive community service and lifelong achievements in scholarship, academic teaching, lecturing, and writing. He served as rabbi of Temple B’rith Kodesh in Rochester, New York, for 15 years and later as senior rabbi of North Shore Congregation Israel in Glencoe, Illinois, for a quarter of a century. His emeritus title there is senior scholar. He has been active in social justice and interfaith activities throughout his career. Rabbi Bronstein was the editor of the Reform movement’s A Passover Haggadah, which has been termed a “modern liturgical classic,” and sold well over one million copies. He served as chairman of the Liturgy Committee of the Central Conference of American Rabbis and chairman of the Joint Commission on Worship of American Reform Judaism for many years.